The state has Tennessee College of Applied Technology outposts throughout the state, including in Nashville. Tennessee has put a spotlight on its community colleges in recent years, making these higher education institutions the focus of programs like Tennessee Promise. Now, state officials are trying to give technical colleges the same boost — and they're starting by trying to win over high school guidance counselors. Throughout the week, they invited counselors across the state, like Tami McNeil, to their local Tennessee College of Applied Technology. McNeil works with about 300 students at Cane Ridge High School in Nashville, all of whom take some classes relating to architecture and construction as part of their curriculum. But McNeil says when talking to her seniors about their futures, she usually doesn't think about recommending a technical school, where students learn specialized skills in fields like manufacturing, truck driving and cosmetology. "Some of my kids, they'd graduated and they'd gone to TCATs, but just actually pushing 'TCAT, TCAT, TCAT' — not like I'm so excited, like after yesterday," she says, referring to her visit this week to TCAT Nashville. Higher education leaders want counselors like McNeil to change their thinking. They've been vocal about the merits of technical school ever since the governor announced his goal to increase the number of Tennesseans with higher degrees or certificates. 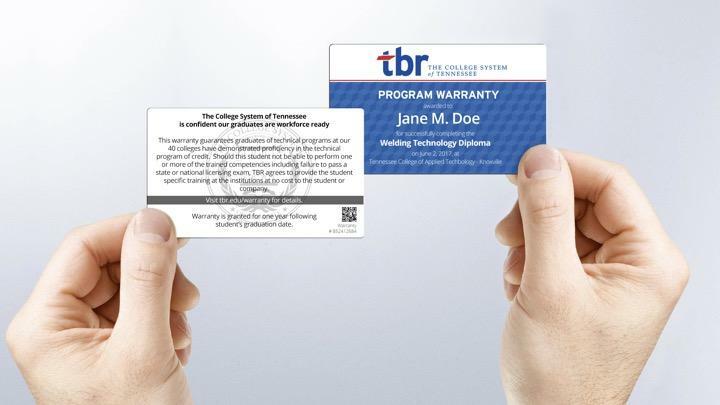 The benefits for both students and the state, they say, are clear: Like community college, TCATs are now free for almost any adult under Tennessee Promise and Tennessee Reconnect. Unlike at community college, students can graduate with a TCAT credential within a few months. And partly because of that, the completion rates are way higher: 84 percent at technical school, compared to 26 percent at community college. But this outreach to guidance counselors shows that officials are more intentionally trying to change the perception of TCATs — making sure these schools are on high school students' radar, in a positive way. "Ultimately, this is rebranding a conversation in Tennessee that technical education is college," says higher education commissioner Mike Krause. "When we say every student needs to go to college, we're saying that could mean a six-month welding certificate." If past data is any indication, this push for TCATs may end up steering some students away from traditional two-year or four-year schools. When the state started boosting community colleges as part of Tennessee Promise, first-time freshman enrollment at universities declined, according to state data. But overall, the freshman entering any kind of college increased by 10 percent — in part, Krause says, because many students suddenly realized they had an option that appealed to them. He thinks a similar result will happen if TCATs get more attention, too. Nearly 7,500 Tennessee adults have applied for free technical college under a program called Tennessee Reconnect. 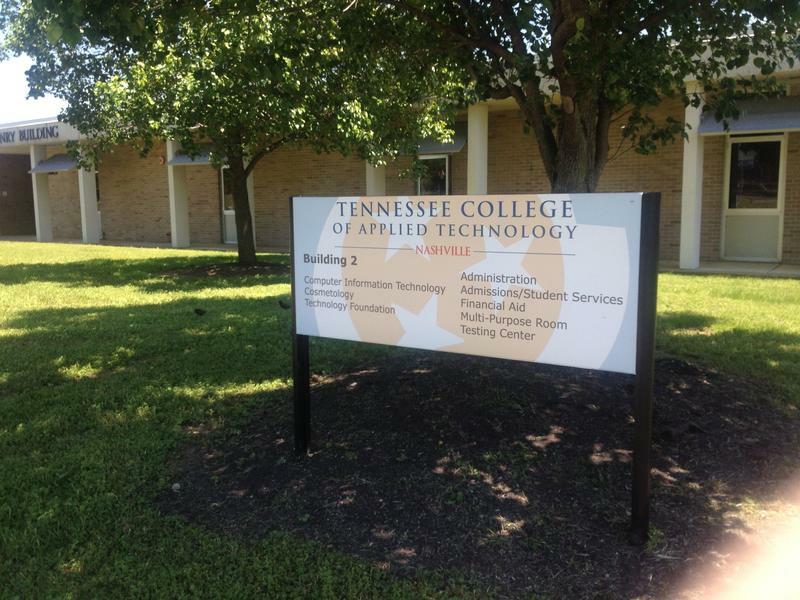 This means Tennessee Colleges of Applied Technology are expecting more students than ever before. TCAT Nashville, for example, currently has 1,000 students enrolled, says director Mark Lenz. The number who have applied there for the fall through Tennessee Reconnect is more than 1,600, according to the governor's office. The governor is hearing funding requests from every department in the state this week, and the routine is a familiar one — hit him with the highlights and then ask for money. 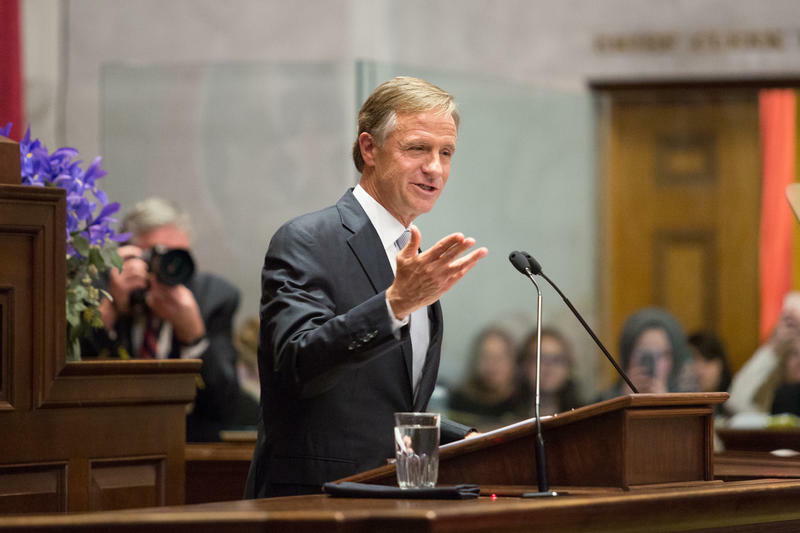 Governor Bill Haslam presented a limited agenda Monday night, in an unusually reflective and retrospective State of the State speech. In his final statewide address as governor, Haslam spent most of his time highlighting what he sees as his successes, including low unemployment and an improving education system. But as for new proposals — there weren't very many.